The Smith Premier full-keyboard upstrike typewriter was built by the L.C. Smith & Brothers gun factory in Syracuse, N.Y. The inventor was Alexander Brown, who was employed by Smith. 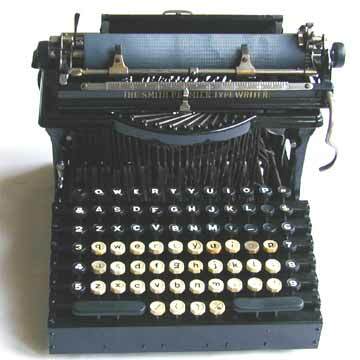 In 1908 Smith Premier launched the SP10, the only full-keyboard frontstrike typewriter ever built. The SP10 was the last of the 'real' Smith Premiers. After the demise of the company, the brand name was bought by the Remington Typewriter Company that continued to launch regular office machines and portables with the name Smith Premier for many years. The Smith Premier was also the model for several unique products. One of these was the Lino-Typewriter, a machine that was in fact the SP1, but the keyboard lay-out of the Linotype composing machine. This machine served a niche market of Linotype operators in need of a typewriter. A special feature on the Smith Premier was the circular brush that was mounted below the type basket. 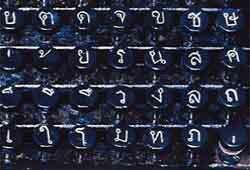 Using a special crank, the brush could be screwed upwards, while brushing lint and clogged ink off the type.